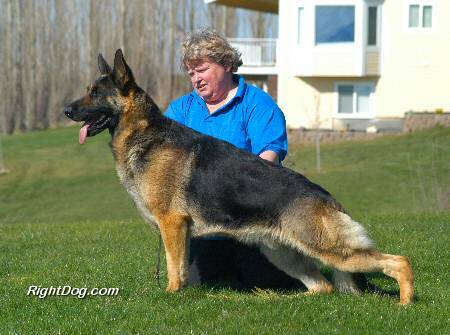 Always looking for ways to add diversity to our breeding program while maintaining our correct type, we added this youngster from Oregon. 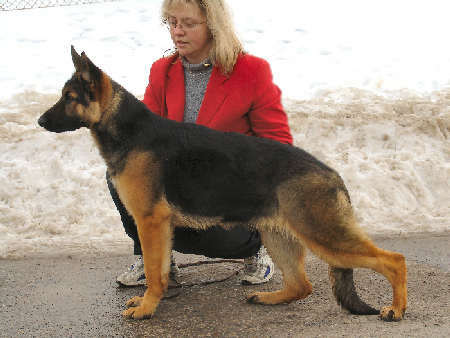 A wonderful blending of show and performance ability, we know she will produce the type of sound, trainable and very correct dogs we strive for. 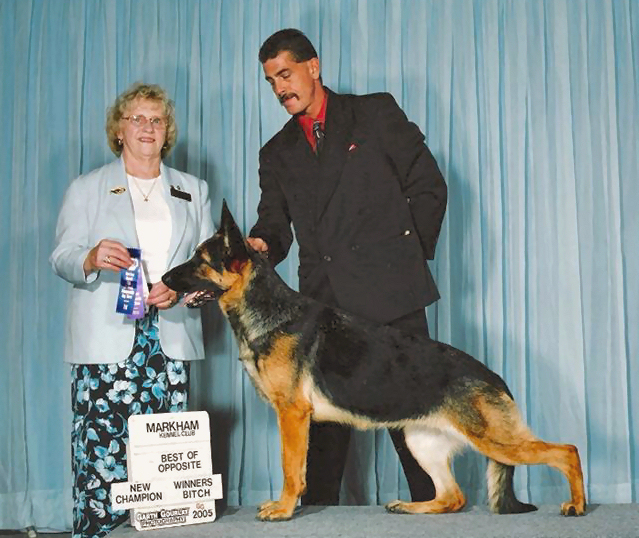 Faith went to Canada for a little ring experience and came home with her first 4 point-Best of Breed over a Champion and won the Puppy Herding Group. What a wonderful start for this puppy! A big THANK YOU to Colleen Kittmer for handling her this weekend. Faith and Colleen had a blast!! 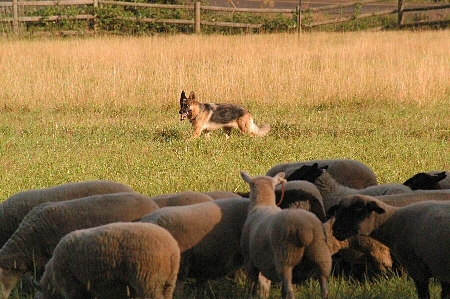 Oh -- she went back again and got her Championship as well as her Herding Instinct Certificate! 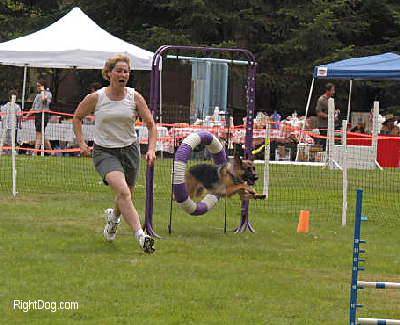 Faith was handled to most of her points by her good friend Colleen, who showed Faith just how much fun dog show trips can be! 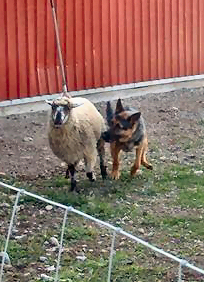 Faith during her Herding Instinct Test. Faith's maternal Grandsire is the handsome Fairway's In The Ruff Bodega. 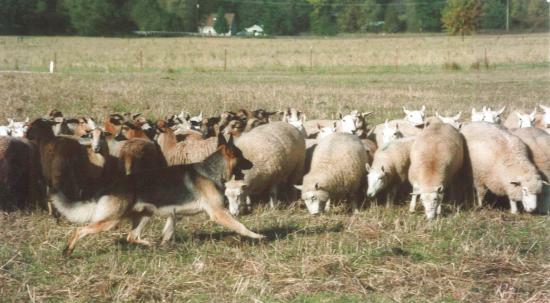 Herding runs in Faith's blood -- here is her aunt "Raika" working the flock. So now you know why we have such high hopes for our little girl! 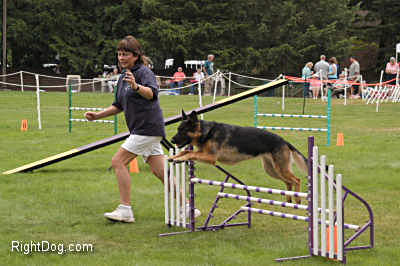 "Teva" and her owner handler charging through the tire jump. 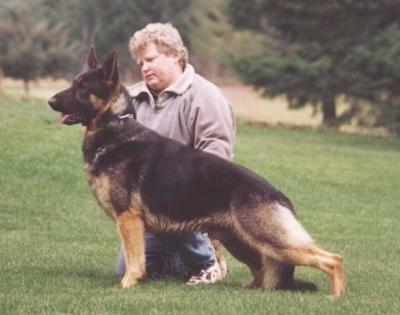 "Roxie" and her owner-handler clearing the triple jump.